The Special Unit is a branch of the FBI, created to hunt aliens, and keep the world safe from them. They investigate supposed alien activity and sightings, tracked UFO nuts, and investigated suspected alien killings including William Atherton and Shelia Hubble. The SU is first revealed in the episode 'Crazy' when Kathleen Topolsky tells Liz of it's existance. Daniel Pierce, the head of the Special Unit at the time, gives Max a little background on the group in the epi 'The White Room', and more info is in the SHP. 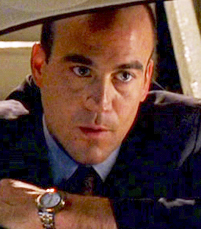 Pierce tells Valenti that whenever a head of the unit is killed, he is replaced within 24 hours. - The military captured two aliens, who were found alive at the crashsite. One escaped almost immediately, but the other was held for 3 years, from 1947 to 1950, and 'observed' in the White Room. It is never mentioned what happened to the alien after the 3 years, but presumably it died or was killed, since Pierce didn't mention that it escaped. - The SU had one of the communication orbs that was recovered from the crash in their evidence vault in DC until Agent Topolsky checked it out and brought it to Michael. Not much is known about what the Special Unit was doing between the years when it lost Nasedo, and when they started investigating Max, roughly 1950 - 1999. We know they track UFO nuts, checked out possible alien sightings, investigated supposed alien caused deaths, including Shelia Hubble, and they occasionally had to replace heads of the unit, due to mysterious deaths complete with silver handprints burned into the chest. Tess mentioned that she and Nasedo had been hunted her whole life. I'm not sure how that could be true. How could the SU possibly find them? But other than that we really don't know specifics. 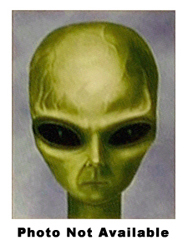 In Sept of 1999, the Special Unit became alerted to the possible presence of aliens in Roswell because Sheriff Valenti gave Agent Stephens the uniform that Liz was shot in, and told the agent of the silver handprint on her stomach. The SU had the dress analysed, and although we never see an official report, we can imagine that they discovered blood along with the ketchup on the uniform, as well as a bullet hole and possibly gun shot residue. They had to wonder what really happened in the Crashdown the day of the shooting. Kathleen Topolsky was sent undercover to West Roswell High School to pose as a counselor, to get close to Max. When it was revealed that she worked for the FBI, the SU didn't stop investigating Max. As seen in the SU documents in the SHP section, files were kept on Max, Liz, Michael, Isabel, Alex and Sheriff Valenti. And we know that a surveillance camera was planted in Michael's apartment. An attempt was even made to question or possibly take Alex into custody. And when Agent Topolsky escaped from the SU, she was being followed by the SU and unwittingly was leading the gang into a trap. And of course we know that Max was taken, held and tortured in the White Room, and would probably have been killed if he hadn't been rescued. End of the Special Unit? 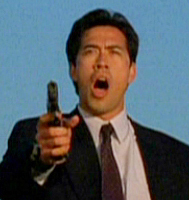 In May of 2000, Nasedo posed as the deceased Agent Pierce, infultrated the SU and used his influence to dismantle and discredit it. Max says he destroyed all the files about them (ARCC), and then in front of a Congressional sub-committee, Nasedo as Pierce admitted that the SU had spent years and wasted millions of dollars on perpetuating an alien hoax. Although we don't see the SU being officialy disbanded, it is implied when Congresswoman Whitaker calls Nasedo as Pierce an out-of-work FBI agent, and recovering alien hunter. Agent Malcom Lewis - 1949 he was the first head of the SU. He was in charge until he was found dead dead on the side of a highway in 1962 in Delta, CO. Agent Del Bianco - took over immediately as the second head of the SU until he was found dead in Union City, TN in 1967. Agent McMahon - the thrid head of the SU from 1967 to 1979. 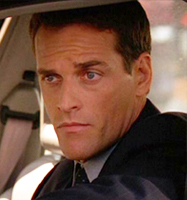 Agent Daniel Sommers - fourth head of the SU. He started in 1979, and brought Pierce into the Unit. He was found dead in May 2nd, 1999. Agent John Stephens - The fifth head of the SU, who was in charge from 1999 to 2000. He recruited Agent Kathleen Topolsky. 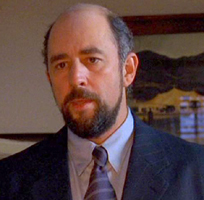 Agent Pierce - staged a coup, tortured and killed Stephens and Topolsky, and took over the SU in 2000. 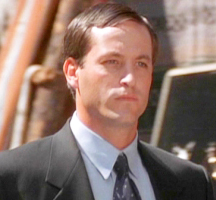 Agent Baxter - works under Agent Topolsky, and is the one who attempts to follow the Jeep with Max, Isabel and Liz, when they are driving on 285 South, after Maria and Michael. 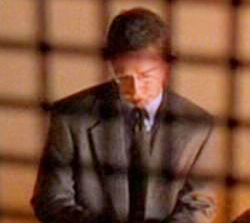 Agent Bello - was the agent Nasedo was impersonating inside the military base in the episode 'TWR'. He is also one of the Agents that Tess mindwarps in the episode 'Destiny', telling him to go to an abondoned gas station outside Hondo. 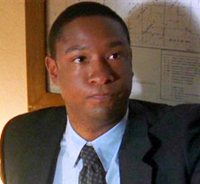 Agent Fields - is the identity that Michael uses to gain entry into the Special Unit at Eagle Rock Military Base in 'TWR'. Agent Fields is an actual member of the Special Unit, be we know nothing about him, even what he looks like. Agent Hart - In the episode �The Morning After� he is ordered to sit in the Sheriff�s Station. Agent Levin - He is one of the agents guarding Nasedo's body at the airstrip. 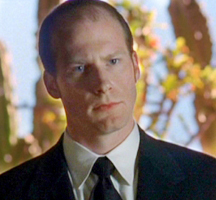 Agent Mattheson - (deceased in TWR) was killed by Ed Harding in the episode 'The White Room" at Eagle Rock Military Base in the Morgue, so he could impersonate him. 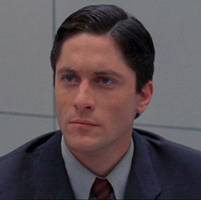 Agent Moss - He is working with Agent Topolsky, investigating Max. In the episode �Blood Brothers� Michael, Isabel & Maria follow him to his motel, and attempt to learn more about him. Michael and Maria find a phone # and call it, discovering that Topolsky is an FBI agent. 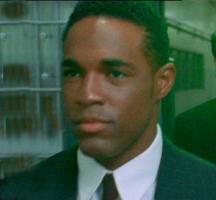 Agent Samuels - He is the Special Unit agent assigned to watch Kyle. Max knocks him out and locks him in a closet at the Valenti's house. Agent Kathleen Topolsky - joined the Special Unit in 1999, and was sent to West Roswell High school to pose as a guidance counselor to investigate Max.